Home 12th Jobs in Any Graduate Jobs in Cement Corporation of India Jobs in Delhi Jobs in Freshers Walk-In Jobs Cement Corporation of India (CCI) walk-in Drive For Company Secretary - Articleship @ New Delhi - Apply Now. Cement Corporation of India (CCI) walk-in Drive For Company Secretary - Articleship @ New Delhi - Apply Now. 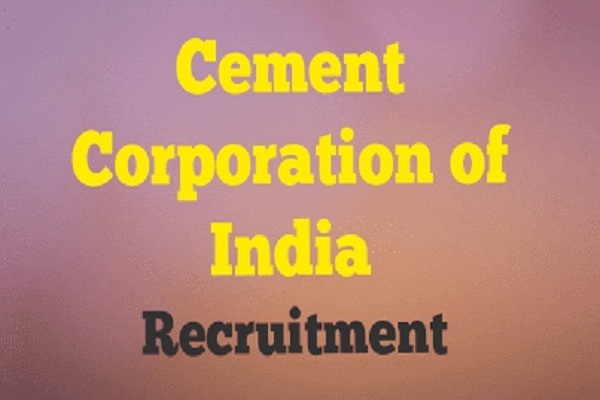 Cement Corporation of India (CCI) Jobs Opening 2018-2019 Company Secretary - Articleship Posts Download Application at www.cementcorporation.co.in. Cement Corporation of India (CCI) Job has Recently Announced 2018 regarding Company Secretary -Articleship & Various Job Openings Interested and Eligible Candidates can Download Application Through Official website. Cement Corporation of India (CCI) Walk-in for Company Secretary - Articleship @ New Delhi - Apply Now. Cement Corporation of India Limited (CCI) is providing Articleship Training to students of Company Secretary for one trainee at its Corporate Office at New Delhi. The duration of Articleship will be as per Scheme of ICSI Guidelines. Stipend for Executive/ Intermediate course passed students will be Rs. 5000/- and Professional/ Final course passed student will be Rs. 10000/- per month. 7-Lodhi Road, New Delhi-110 003.